Frankenmuth Outfitters is an extension of Port Austin Kayak that provides kayak and stand up paddle board rentals. 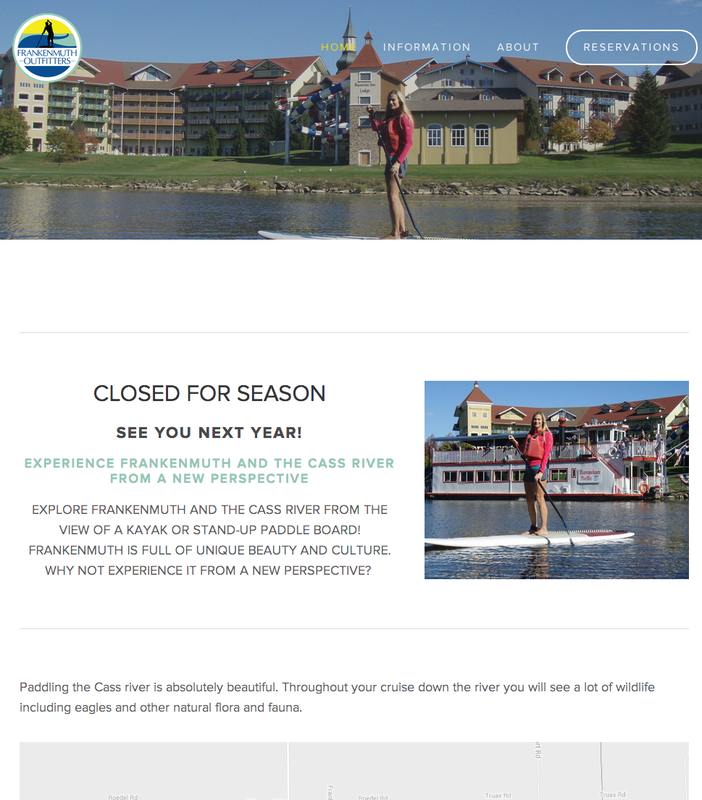 Frankemuth Outfitters exists to help develop Frankenmuth's outdoor recreation opportunities and provide a unique experience for people of all ages to explore the natural beauty of the Cass River. Business Soil teamed up with Frankenmuth Outfitters and Port Austin Kayak to help bring their objective to life online. In coordination with the owner, we were able to fully create, design and execute a professional logo, website and online presence for their business. Now, Frankenmuth Outfitters can not only be more easily found in search results, potential visitors can learn more about their brand and services. With this knowledge, visitors can more easily become, you got it, customers! If you need help getting your business found online, a website that works for your business, or brand building materials like a logo, we can help! You can see more about the Frankenmuth Outfitter project below.